This collection consists of three separate plates, all with a mixture of full size and singular images. There is a really nice variety with this collection and I am sure there is something to suit every ones taste. 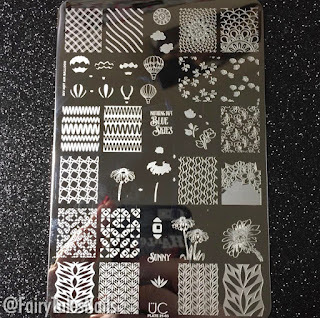 The first plate in the collection has17 full size nail images, one buffet style image and 5 singular images. If that wasn't enough you have this beautiful layered image to create this cute fox, it also gives you the colours you should use for each part of the fox image which is something I haven't seen done before. 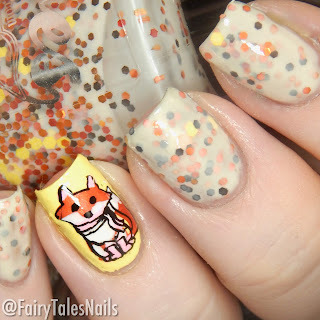 As you know I can never resist a cute animal image, so I used the little fox with a beautiful Autumn crelly from Echoes polish. 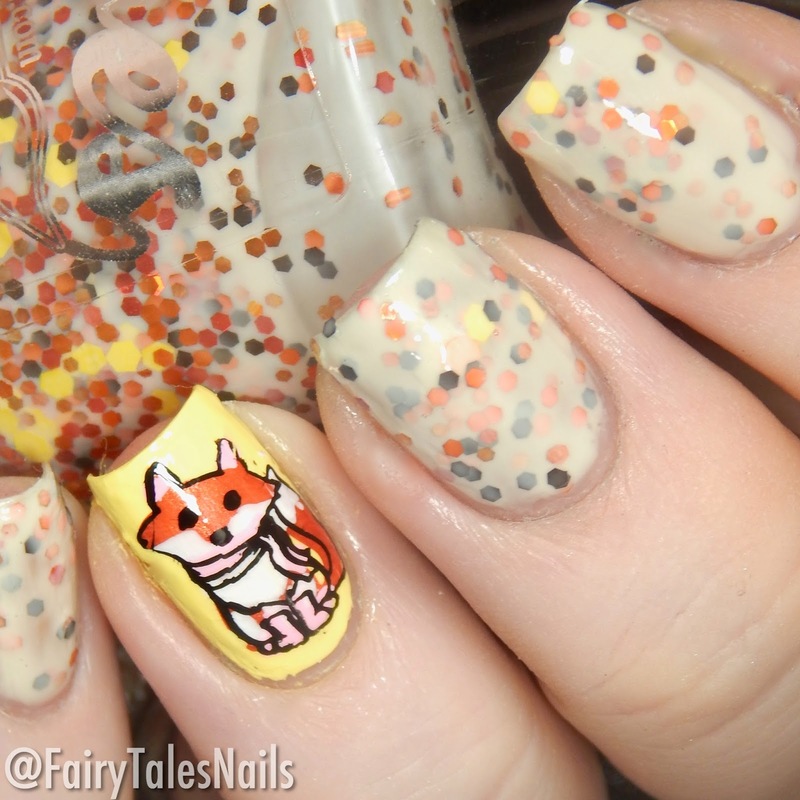 The fox picked up on the stamper nicely and it was easy to line up the images with my clear jelly stamper. The second plate is a fun mixture of geometric and floral designs, this has 17 full size images, 7 singular images and 4 layering images. 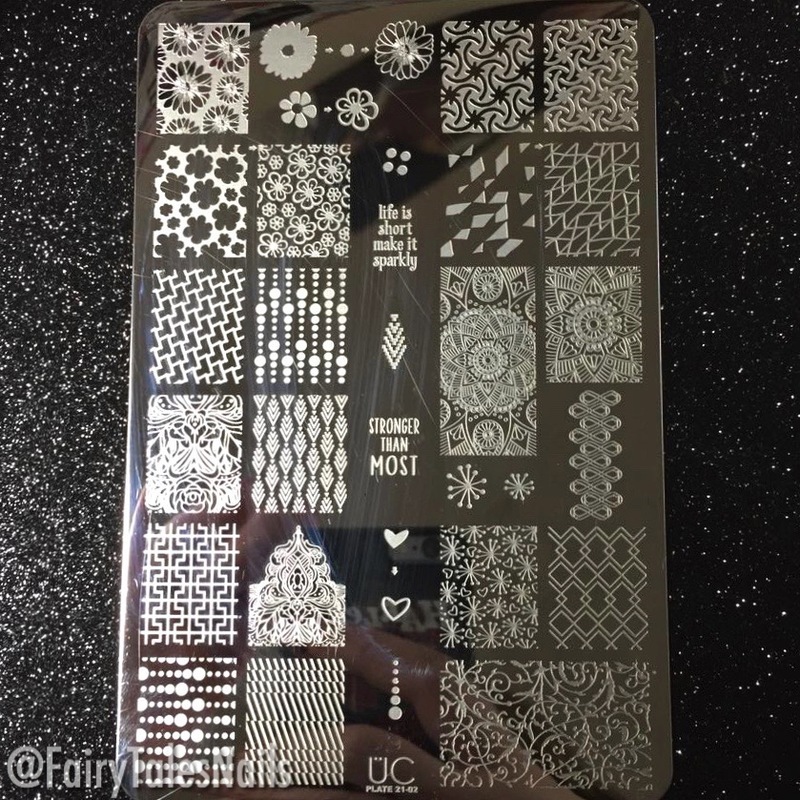 Again they are all etched beautifully and picked up on to the stamper really nicely. The first thing that caught my eye with this beautiful plate was the layering flowers in the top left corner. 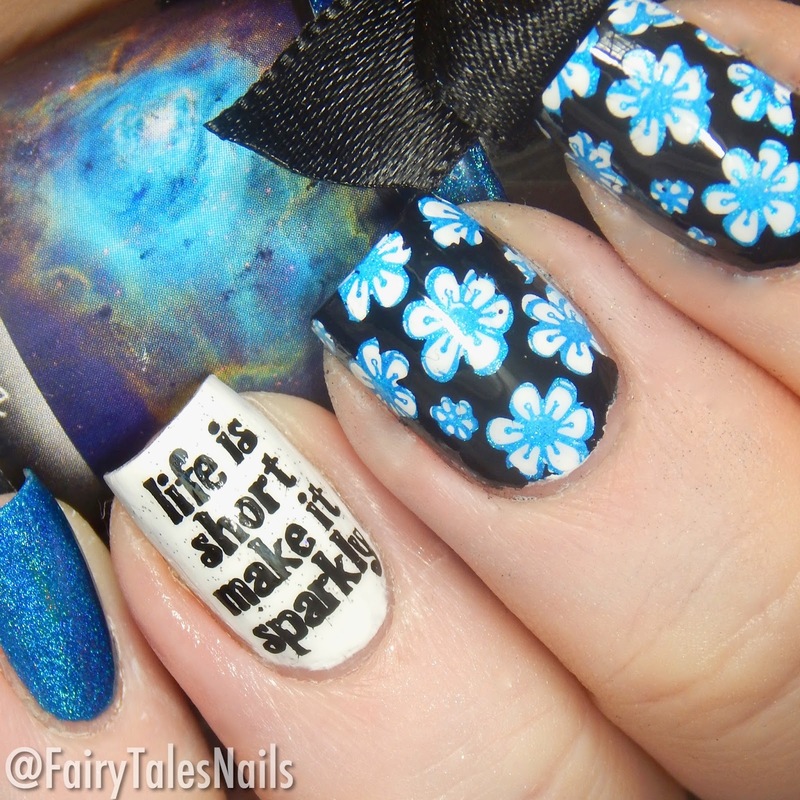 I then used the lovely quote in the middle of the plate for my accent nail. That gorgeous blue linear holographic gave this one a slight winter look. The final plate from this collection is probably my favourite, this stunning plate has 13 full size images, 8 singular images and plenty of layering images. There is something for everyone on this plate, those cute hot air balloons caught my eye this minute I saw it and for those of you who love floral images you have so many pretty one to choose from. 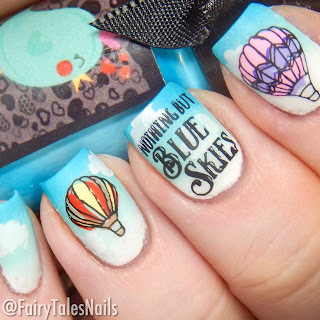 As you can guess I immediately knew I was going to use those lovely hot air balloons and the cloud images paired so well with them. I created a sky looking gradient with two shades of blue and a white, I then stamped the beautiful quote located in the middle of the plate. 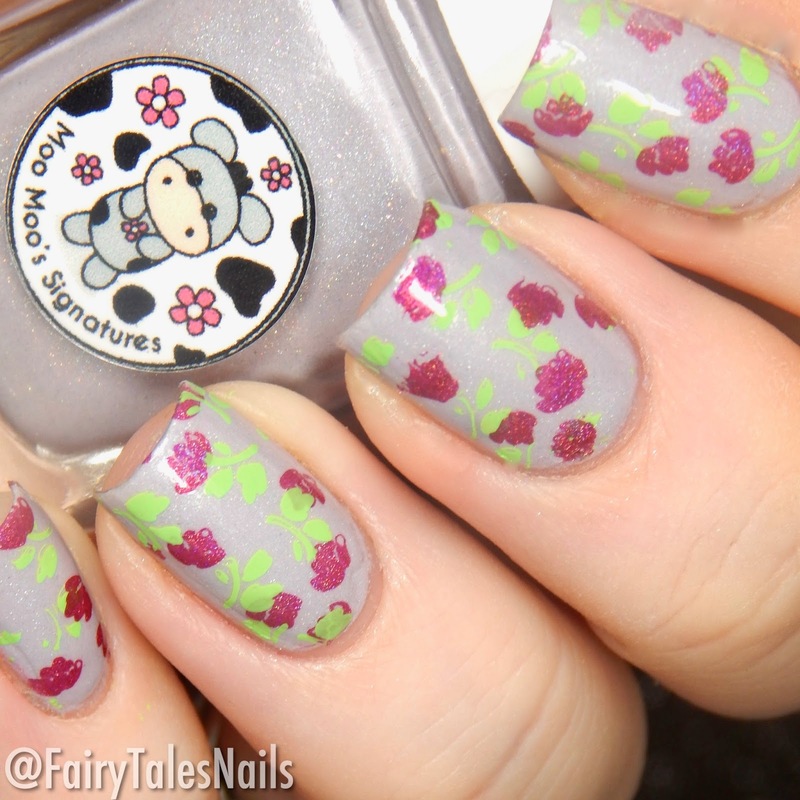 Because this plate really inspired me I decided to do two manicures with it, these stunning layered roses looked so dainty and delicate with Moo Moo Signatures Bunny Returns. Overall I am in love with this collection, their is plenty of variety and if you are a lover of layered stamping this one is definitely for you. 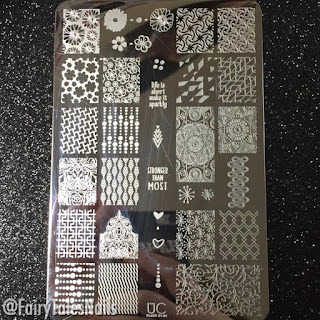 All of the plates were etched really well and picked up first time with no problems. 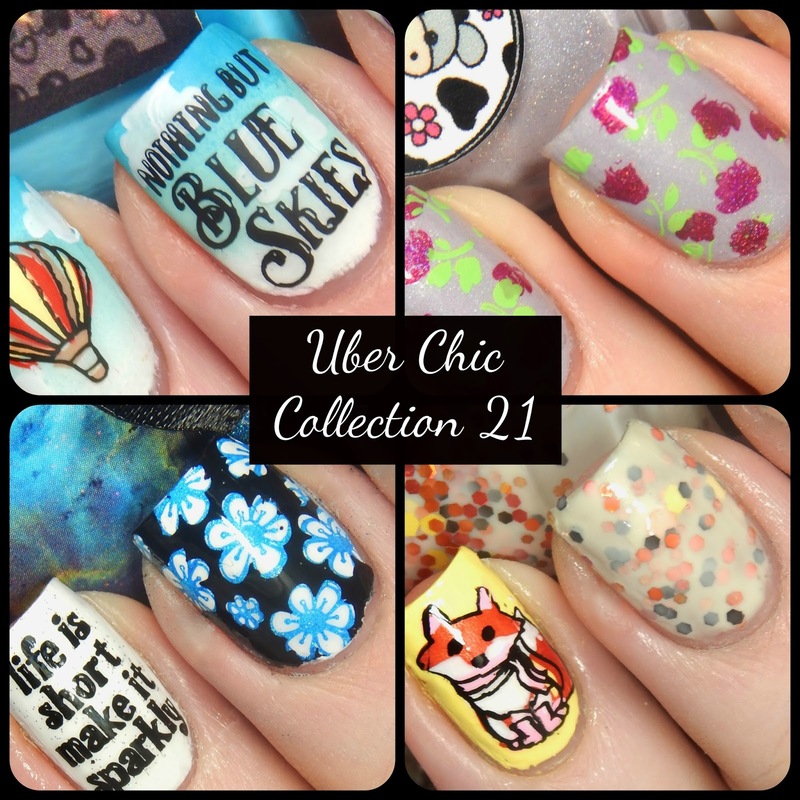 Uber Chic Beauty collection 21 is available now from Nail Artisan for £20.40, make sure you follow Nail Artisan social media accounts to keep up to date with the amazing nail items she has to offer. 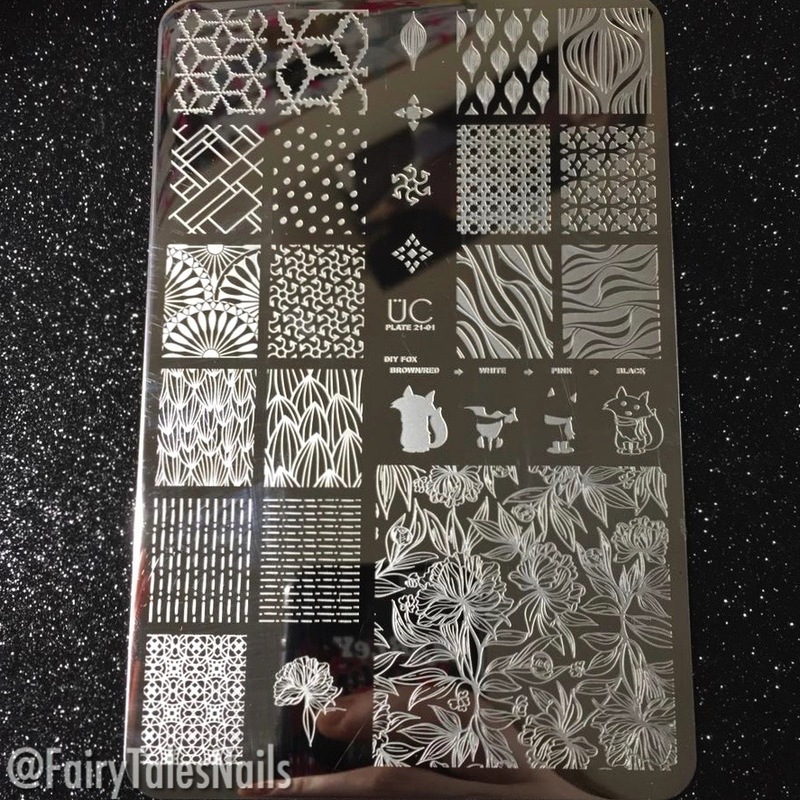 I would love to know which of plates is your favourite? Mine has to be plate 3, although I do have a huge soft spot for that cute little fox. Let me know your thoughts down in the comments. 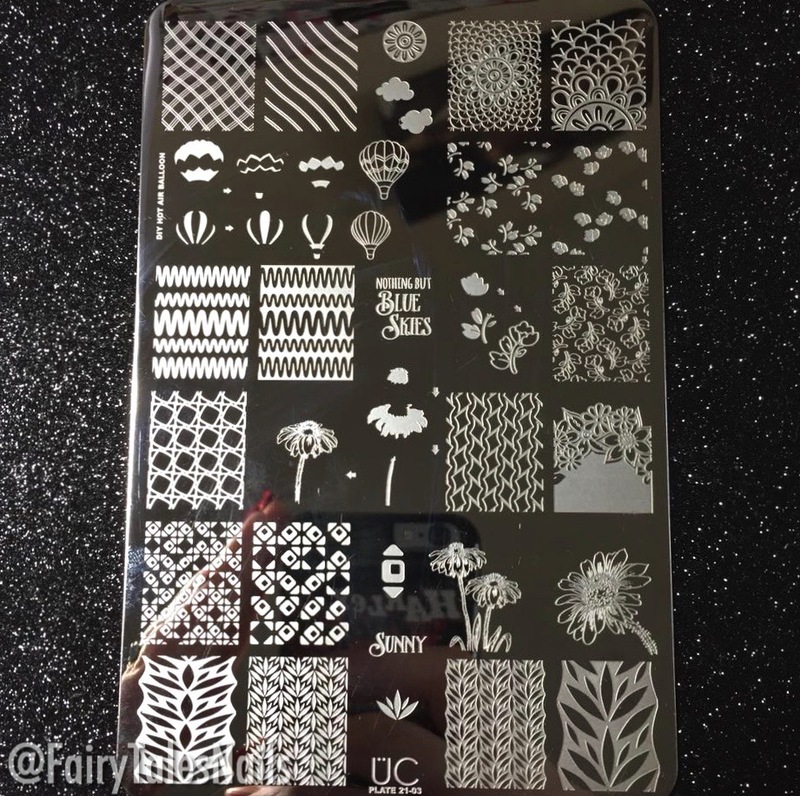 A huge thank to Alex for sending me these plates to review, it was so much fun and such a beautiful collection to work with. Hope you all have a lovely weekend and I will chat to you again soon. Adorable manis!!! I love their plates and will totally check this one out! Great stamping. You continue to amaze me with your skills. I love that little fox. LOVE LOVE! That little fox is adorable and the hot air balloons are really pretty too! That FOX 🦊 is adorable!! The hot air balloons are great too!! Oh my goodness, that little fox is so adorable! The fox is too cute! Great looks! The floral one is my favorite! Your fox is the absolute cutest! 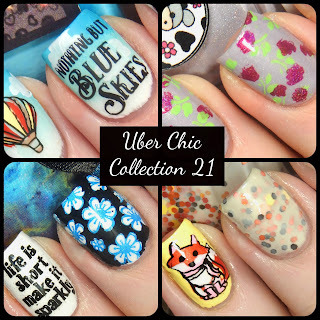 aww, so cute, I love the saying on the one nail! Okay, so that fox is the cutest thing, ever. That little fox! I love it! I love their plates. This looks like a fun set. I love what you did with it.